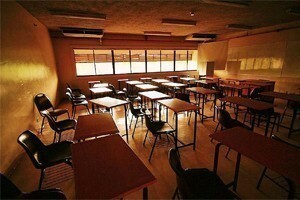 A Not for Profit survey reveals the high schooling price tag for Australian families in 2011 and beyond. A new Not for Profit survey by the Australian Scholarships Group (ASG) reveals the high schooling price tag for Australian families and the total schooling bill for parents of children born in 2011 and beyond. For the first time, ASG says it has compared the future schooling costs estimates for children attending school in metropolitan areas and regional areas. The estimates were calculated from education costs information ASG’s Member parents supplied about more than 8000 children nationally from preschool to secondary school in metropolitan and regional areas, which were overseen by an independent market research organisation and statistician. ASG’s General Manager Development, Frida Kordovoulos said she believes the survey is one of the largest of its kind and provides rich and robust data. She says the new schooling cost estimates show that parents of children attending school in regional areas reap significant benefits in terms of costs when compared to those in metropolitan areas. The survey shows parents living in metropolitan areas can expect to pay up to $80,000 if they choose a government education setting for their children’s future schooling, $217,000 for systemic (eg Catholic) schooling or up to $415,000 for private schooling. Whereas parents living in regional areas experience reduced costs of up to $68,000 if they choose a government education setting, $165,000 for systemic (eg Catholic) schooling or up to $303,000 for private schooling. Nationally, preschool in 2011 will cost up to $4945 in a government preschool and up to $11,626 in a non-government facility (note, there is no metropolitan and regional breakdown for this stage of schooling). The bill for parents of primary school children living in metropolitan areas amounted up to $4002 for government primary school, $6401 for systemic (eg Catholic) schooling, and $12,917 per year for private schooling. These amounts compared to the regional costs for primary schooling of up to $3614 for government primary schooling, $5466 for systemic (eg Catholic) schooling and up to $9015 for the 2011 school year at a private primary school. Parents of secondary school children in metropolitan areas nationally can expect to pay up to $4657 for government secondary schooling, $12,138 for systemic (eg Catholic) schooling, and up to $20,888 for private secondary schooling. In regional areas, the amounts are up to $4039 for government secondary schooling, $8993 for systemic (eg Catholic) schooling, and up to $16,272 in the 2011 school year at a private secondary school. Frida Kordovoulos says although nations across the world, including Australia, recognise the importance of education as the means to create prosperity into the future, Australian parents are being unrealistic if they believe that education is free today, and into the future. Australian Scholarship Group ’s schooling estimates include the total costs of school, including fees and levies. In addition to fees and levies, schooling costs include extracurricular costs, such as outings, camps, private tuition, music lessons, instruments, coaching, sport/gym/drama/art/dance classes and other costs for optional activities that create a rich school life for children; clothing, including all school and sports uniforms; necessities, such as stationery, textbooks, school bag, art and craft materials, sports and music equipment; travel costs; and all costs associated with computers and Internet access. ASG’s says its research has uncovered four main reasons that young people leave school early–lack of motivation, peer pressure, desire for independence, and financial pressures. ASG says while parents can try to influence some of these factors, easing financial pressures is one area that can be controlled more successfully if parents take action to prepare for the costs of education early in their children’s lives. Frida Kordovoulos encouraged parents of school-aged children to explore the range of government support initiatives for education, including the Australian Government’s Education Tax Refund and the various state government rebates available in order to minimise the pressure on the family budget.